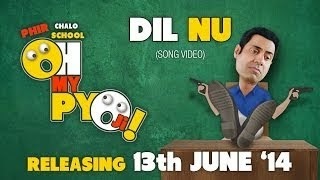 'Dil Nu' is a fantastic song from the upcoming Punjabi movie 'Phir Chalo School - Oh My Pyo Ji' releasing on 13th June, 2014. Maninder Buttar had sung this song while its lyrics are penned by Happy Raikoti. Mere Kolo Mera Dil Murreya Peya Ae..